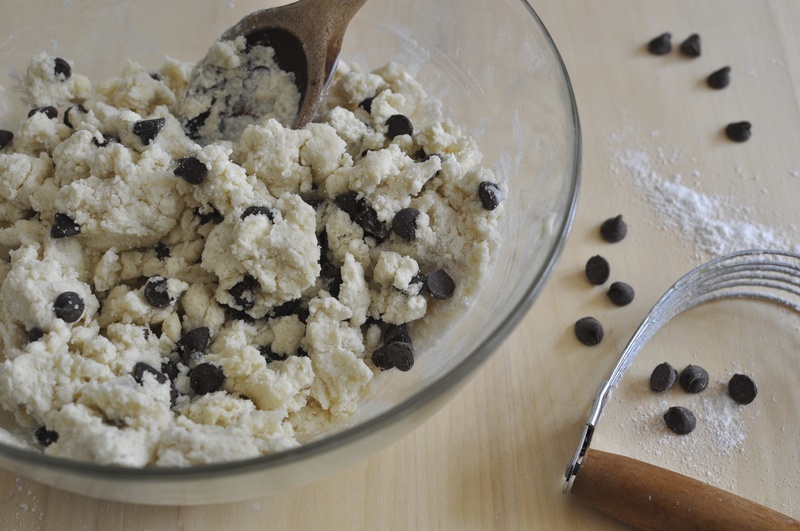 In a large bowl, whisk together flour, xanthan gum (if using gf flour), sugar, baking powder, and salt. 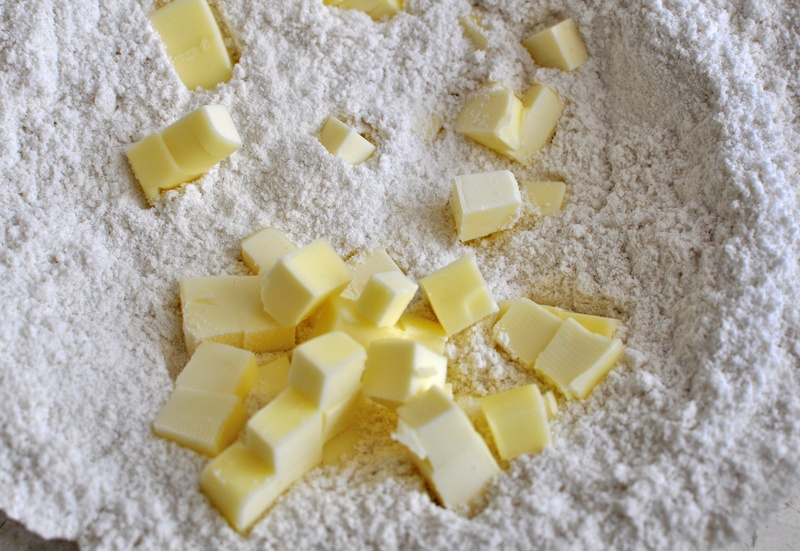 Add butter pieces to the bowl and using a pastry cutter or two knives, cut the butter into the flour until mixture resembles coarse crumbs (there will be bits of different sized butter). Stir in cold cream just until combined. Pour mixture onto a sheet of waxed paper that has been lightly dusted with flour, knead into a ball with hands lightly dusted in flour, and pat into a 1/2 to 3/4 inch thick disk (I did 1/2 inch because I like mine on the thinner side). 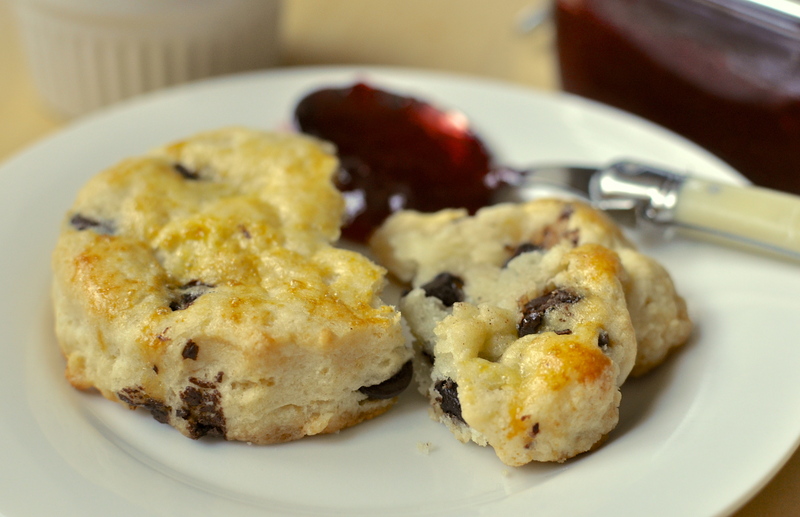 Quickly knead scraps into a ball, pat into disk and cut into more scones, repeating until dough is gone. 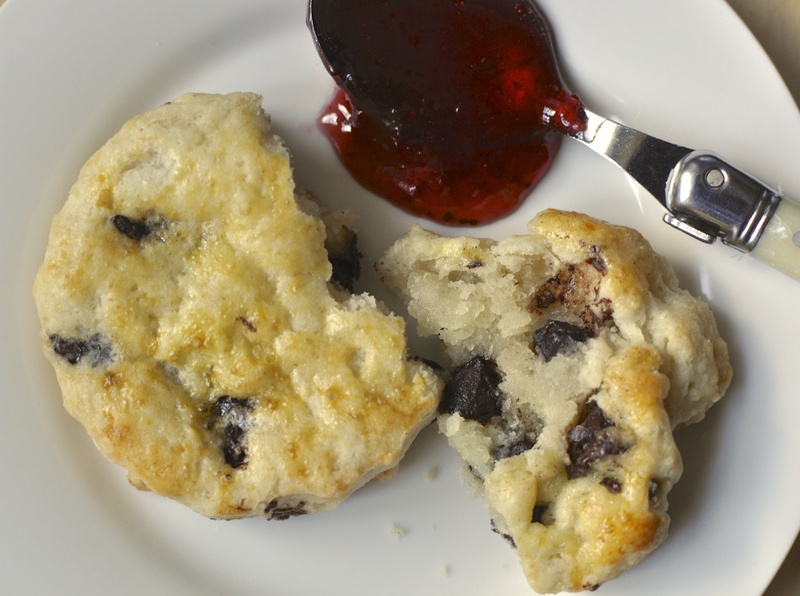 Using a 2 1/2 to 3 inch biscuit cutter or drinking glass lightly dusted in flour, cut out scones and place two inches apart on a baking sheet lined in parchment paper. 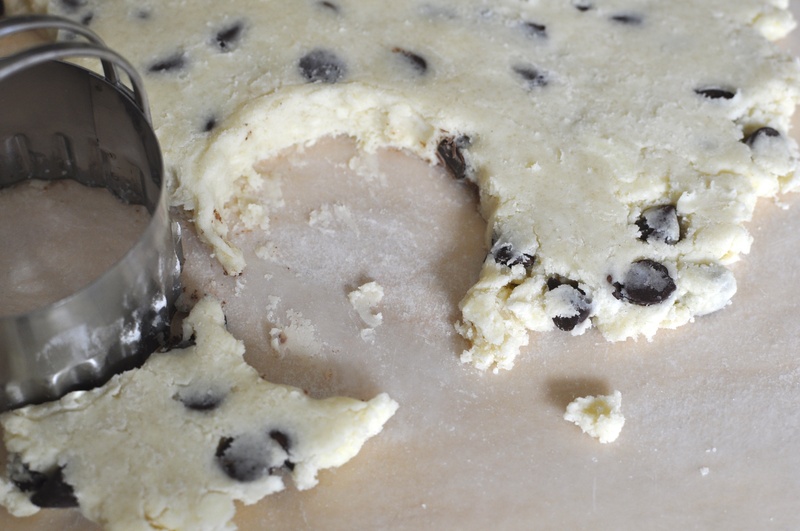 Brush tops with the heavy cream using a pastry brush or your finger tips, and sprinkle with cinnamon sugar if desired. Bake until golden brown, 15-20 minutes. Cool scones on a wire rack. Mouthwatering doesn’t even begin to describe these! I have tasted them first-hand, and can only hope mine turn out as deliciously as yours did. It’s so inspiring to know they’re gluten-free, too!